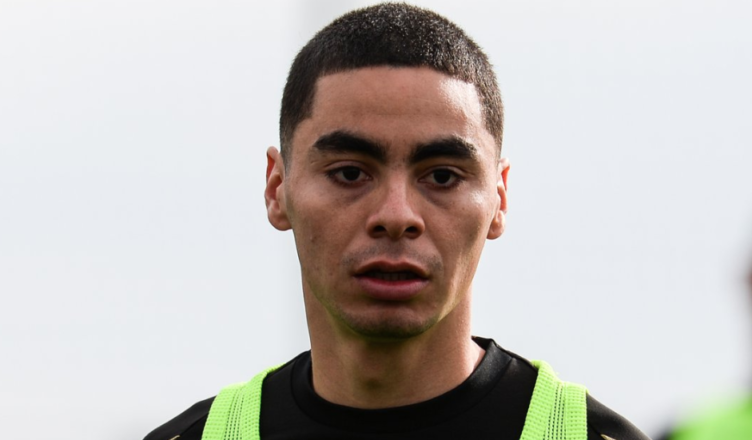 Club reporter launches embarrassing attack on Miguel Almiron – Absolutely pathetic.. – NUFC blog – Newcastle United blog – NUFC Fixtures, News and Forum. Despite Miguel Almiron putting in a decent display during yesterday’s friendly with CSKA, the Sun’s north-east reporter David Coverdale has written a fabricated story claiming he had a ‘nightmare’ and ‘flopped’. What’s perhaps most embarrassing about Coverdale’s ‘story’ is his attempt to make reader’s believe he was ‘hauled off’ at half-time by Rafa – yet this is complete nonsense given Benitez replaced every player at half time; making 11 changes! It wasn’t a jaw dropping performance or one to particularly write home about by Almiron, but the way he’s spun this for his latest piece in the Sun is little short of shameful. Rating a player’s performance may be subjective, but David’s done his best to paint this out as an awful performance from Almiron – yet it was one where he still showed real energy and always tried to make something happen when he got on the ball (he would’ve bagged an impressive assist if Diame could finish!). Put it this way, if he’s claiming that Almiron had such a ‘nightmare’ then I can’t even begin to imagine what he made of Kenedy or Joselu. So according to the worst rag of all time (you know which one), Miguel Almiron has “flopped” at #nufc because he played 45 minutes of a mid-season friendly in Spain and didn’t score or assist. Typical fans’ over-reaction to an innocent, and for once accurate, article. It was so weak that it could hardly even be classified as an attack. And let’s not forget Olly, that in your own review the most enthusiastic comment you could make about Almiron was “steady”. He wasn’t even close to being our best player. Coverdale clearly stated that all 11 players were replaced at half time, so any suggestion that he made it sound like Rafa subbed only Almiron is just ludicrous. Mindless optimism is acceptable under 2 conditions. Reality, however is a much more useful attitude to have. Almiron came on against Wolves and despite the comments of the fans, he had a pretty average 20 minutes. He was on for the first half against CSKA Moscow, and he struggled. He needs time to settle and to understand how it works here and it’s better to admit that than to claim he’s brilliant just because – and here’s the one that makes me laugh – “he tried hard”. If you want trying hard give me a contract. I’ll run till I drop. Admittedly that would only be 10 minutes, but I’d try. Our recent history is full of Fergusons, Ramages and Ameobis, and even the odd Ritchie. Players who all tried hard but weren’t really that good. Personally I’d prefer brilliant, but doesn’t try hard. I’d prefer trophies to pure effort. In which league does trying hard get you points? I’m sure Almiron will come through, but it wasn’t against Wolves and it wasn’t against Moscow. Maybe he’s getting match fit. Maybe he’s learning how the team play. Either way he’ll get the time to figure it out, but lets not pretend that he’s better than he’s shown us. He’s the one who said we should judge him on his performances. Was this gormless Tw4t even at the game……? I’d prefer trophies to pure effort. Inwhich league does trying hard get you points? An ‘innocent’ and ‘accurate’ article? A) How on earth can you say he ‘flopped’ and had a ‘nightmare’ during a steady friendly display? B) You know full well he’s twisting it by saying he was hauled off at half time – everyone was! You’re the only one I’ve seen who thinks what he’s saying is remotely acceptable or true..
You defended Coverdale re. Almiron’s half time substitution saying he made it clear that everyone was taken off. This is his headline and first two lines of the article.. Regarding any ‘mindless optimism’, I’d like to think I have a balance. Just read my ratings piece – I’ve given plenty low marks to players I was hoping to see do well..
Coverdsle is just another lying scumbag reporter who make up stories for money. Pretty average 20 Mins against wolves??? HAHAHAHA even the wolves fans said he looked quality. Take your red and white striped shirt off mate, can see right through you. Still bitter about getting outplayed by Accrington Stanley I guess. So how come he didn’t flop against Wolves in a bona fide Premier League game ? Brian GIVE YOUR HEAD A SHAKE!!! You will be saying ASHLEY is a fans favourite next. Almiron needs time to settle, but what I have seen up to now he works hard, has pace and can change a game. EXACTLY what we need right now! !